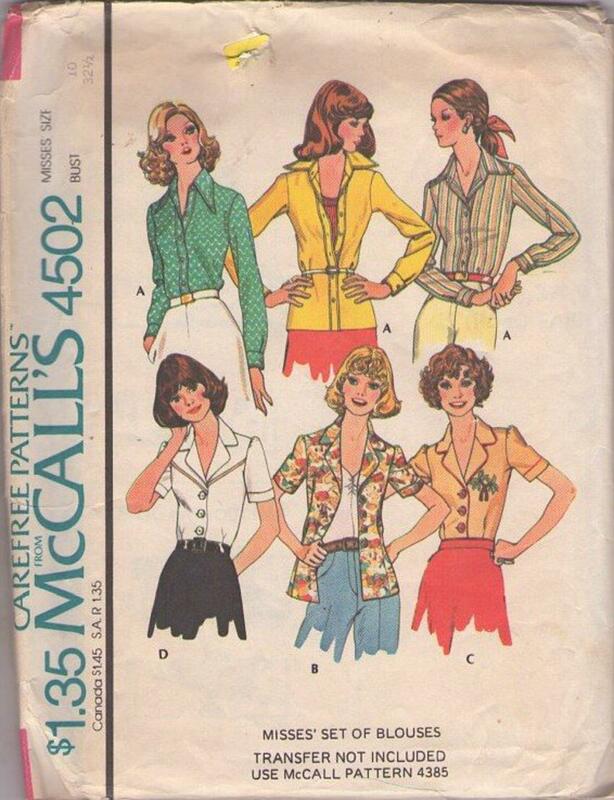 1975, 70s Casual, Retro Office Clothing Patterns - Buttoned, stitch trimmed blouse A has collar, neckband, long sleeves pleated into buttoned cuffs. Buttoned blouse B, C or D with inside tuck-darts has notched collar; short sleeves with gathered cap have sleeve bands. C has piping. D has fagoting. Purchased belt for all views is optional. Transfer not included in pattern.